Astronomers announced Wednesday that they have found compelling evidence for a ninth planet lurking beyond Pluto on the outside of the solar system. 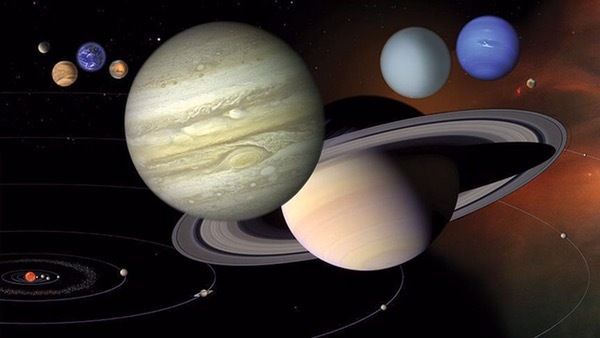 The new report published in the Astronomical Journal provides strong support that a planet-like object is slowly orbiting the sun and causing gravitational disturbances for dwarf planets on the outer edge of the solar system. Researchers point out, however, that they have not yet directly observed the object even though they believe they know a fair amount of details. Through mathematical models and computer simulations, Caltech astronomers have found that the object, nicknamed Planet Nine, is roughly 10 times the size of earth. Orbiting the sun at a distance of about 56 billion miles on average, Planet Nine takes 20,000 years to complete one revolution around the sun. Scientists have searched for a theoretical “Planet X” for decades, but haven’t been able to provide any strong evidence. The research was led by Caltech researcher Mike Brown, who became famous a decade ago for making discoveries that eventually led to the reclassification by the International Astronomical Union of Pluto as a dwarf planet. “This would be a real ninth planet,” said Brown. “There have only been two true planets discovered since ancient times, and this would be a third. It’s a pretty substantial chunk of our solar system that’s still out there to be found, which is pretty exciting,” he added.